Everyone has heard an Aesop fable in one form or another. ‘The Hare and the Tortoise‘, ‘The Lion and the Mouse‘, ‘The Boy Who Cried Wolf‘ are examples of Aesop’s famous stories. For generations, these stories and many others have represented the best in the timeless literature of childhood. Every one of Aesop’s Fables imparts a valuable moral or piece of wisdom that is still valuable and relevant today. 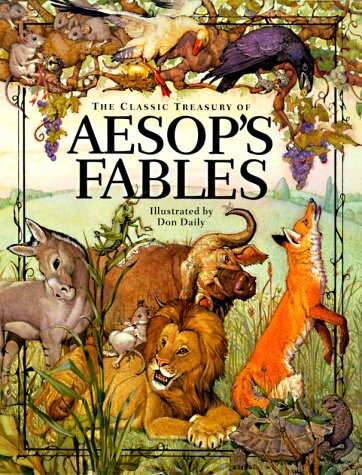 To this day Aesop’s very existence remains in question but the stories that have been attributed to his name have stood the test of time regardless and the legendary name of Aesop has become synonymous with this popular collection of enchanting fables. Now you can have these fables free of charge and we invite you to download and share these timeless stories with your kids.